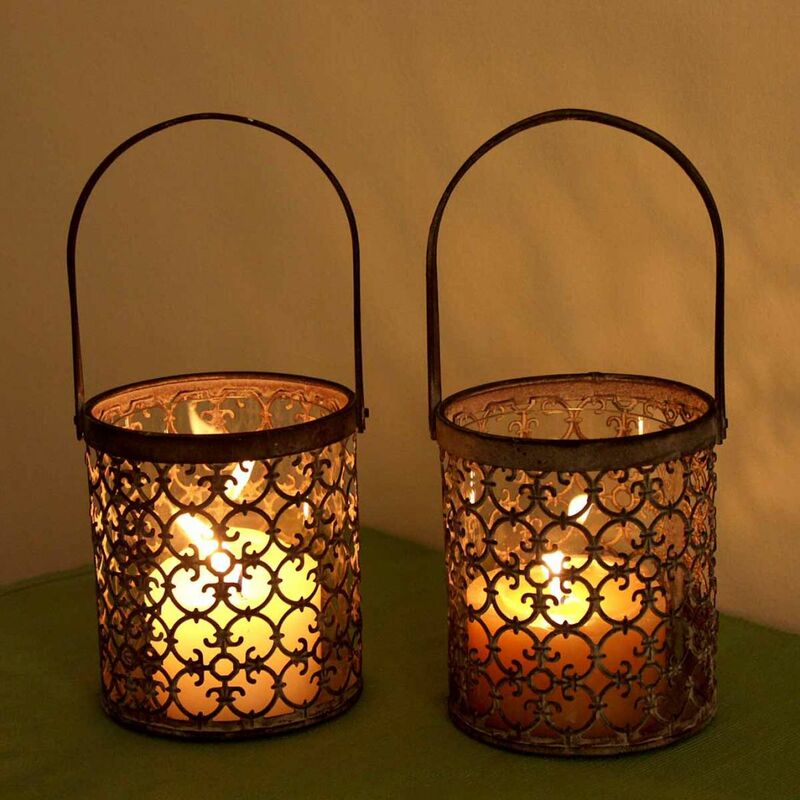 San Sebastin Lantern - All you need for your home and garden. Add unique atmostphere to your room with this wonderfully ethnic Kashmire drum lantern. 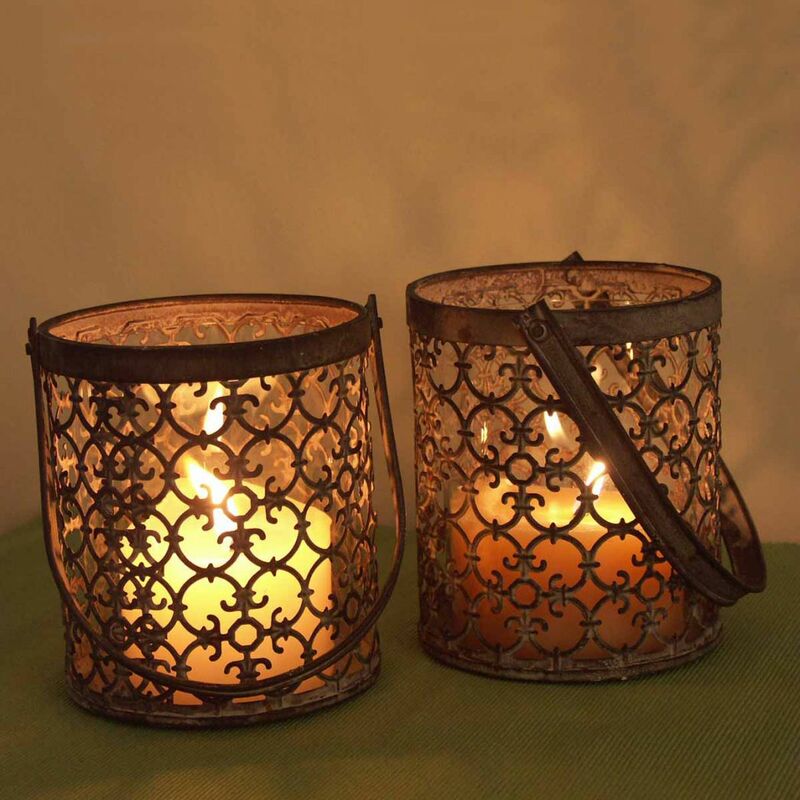 This Metal lantern comes with a glass insert, for safe use of a candle. Finished with a durable stove enamelled finish.